The Institute for Integral Yoga Psychology is a sponsored project of MIRRAVISION TRUST, a non-profit, public charitable trust registered at Pondicherry, India (with offices at Kolkata and Delhi), to study, design and apply Sri Aurobindo’s and the Mother’s thought in the areas of psychology, mental health, psychiatry, health and well-being, education and social-sciences at large. Its primary task is to establish, run, finance activities related to mental health, psychiatric rehabilitation, well-being , health, inter-disciplinary studies in psychology, psychiatry and social sciences, publication as well as to sponsor the Institute for Integral Yoga Psychology. MIRRAVISION TRUST is also collaborating with Auroville to develop a unique Psycho architecture that would provide healing spaces sub serving different planes of consciousness and facilitating innovations in different therapeutic modalities. MIRRAVISION TRUST has been formed by a group of mental health professionals, psychiatrists, social scientists, social activists, technocrats and spiritual sadhaks. MIRRAVISION TRUST is named after Mirra Alfassa, the Mother of Sri Aurobindo’s Ashram, Pondicherry who is the executrix of Sri Aurobindo’s vision as well as his spiritual collaborator in the new evolutionary world of manifesting future models of human being. Sri Aurobindo Ashram, Pondicherry has graciously allowed MIRRAVISION TRUST to use as a logo for the Institute for Integral Yoga Psychology, an emblem (a modified Sri Aurobindo’s symbol) designed by the Mother Herself and given to Dr. A.S. Dalal for a new defunct center in East Africa. Auroshakti Foundation has been incorporated on 22nd August, 2011 under Section 25 of the Companies Act with office at 273, Block A, Bangur Avenue, Kolkata-700055 for health, educational, social and humanitarian activities. It shall set up healing centres in the field of psychiatry and integral health and educational institutes for yoga psychology, psychiatry and other allied disciplines. 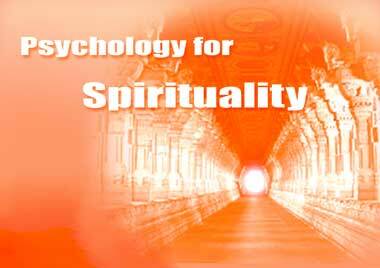 It shall publish relevant literature in psychology, consciousness studies, social sciences and spiritual philosophy. It proposes to operate rehabilitation and occupational therapy programmes and sponsor the charitable activities of MIRRAVISION TRUST.